Filling your tires with nitrogen can reduce air pressure loss, reduce wheel corrosion, prevent inner liner rubber deterioration by oxidation, your tires can run cooler, resulting in increased tread life, increased fuel mileage and it helps prevent uneven tire wear. Experts in the tire industry indicate that oxidative aging is one of the primary causes of decreased tire life. Oxidative aging is caused by the diffusion of oxygen from the pressurized air cavity of the tire to the outside atmosphere. Tires that are inflated with nitrogen have a significant reduction in tire failure. 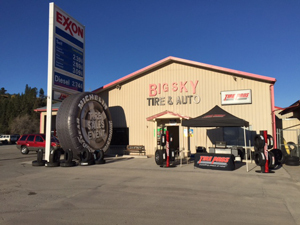 Stop by Big Sky Tire Pros to discuss the many benefits of using Nitrogen in your tires.